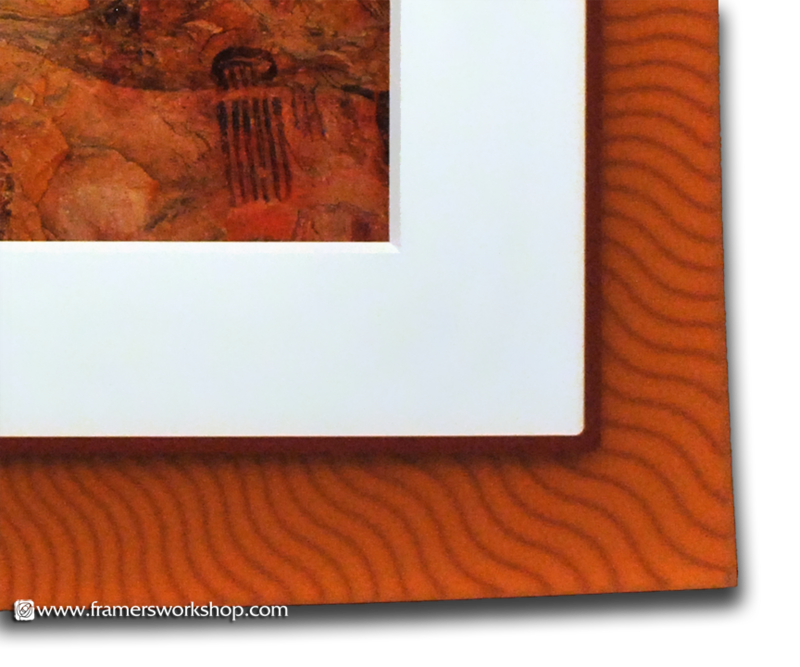 Custom designed Prisma Frames offer a whole new concept in frame design. With a variety of colors, surface finishes and patterns you can create a unique design that adds excitement to your photographs and other artwork. 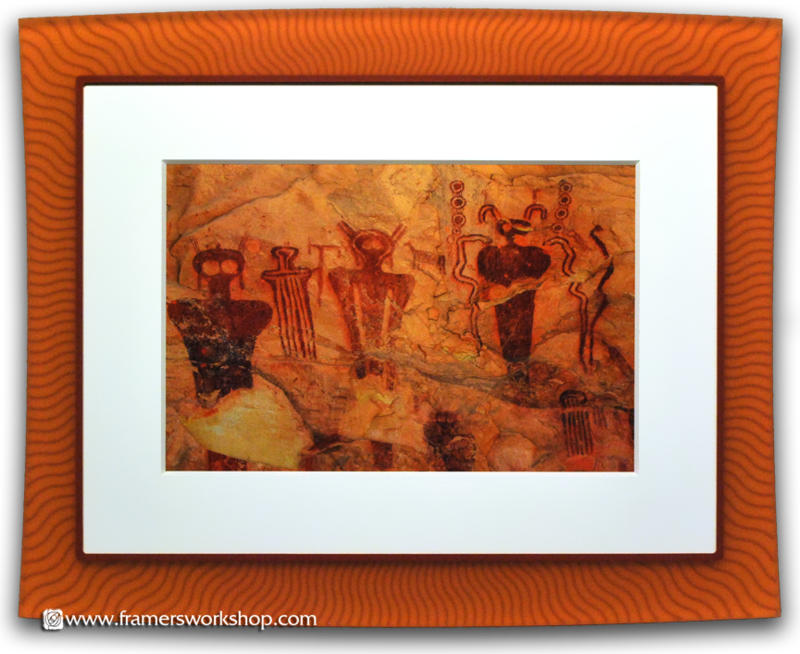 We designed this "ancient aliens" petroglyph photograph using a "Juno" frame shape (concave sides, convex top and bottom), with an orange field color, and "Cascade" pattern with a tomato color. The framing includes a deep, 8ply mat and Museum Glass glazing. It looks out of this world!